The disappearing art of family storytelling is a critical part of strong family foundations. Children who learn from family storytelling tend to be more resilient and better able to overcome challenges. They have higher self-esteem and feel like they are part of something bigger than themselves. Children with these qualities are more likely to have a positive impact wherever they go. This starts with their own family, but also includes school, work, church, and community. 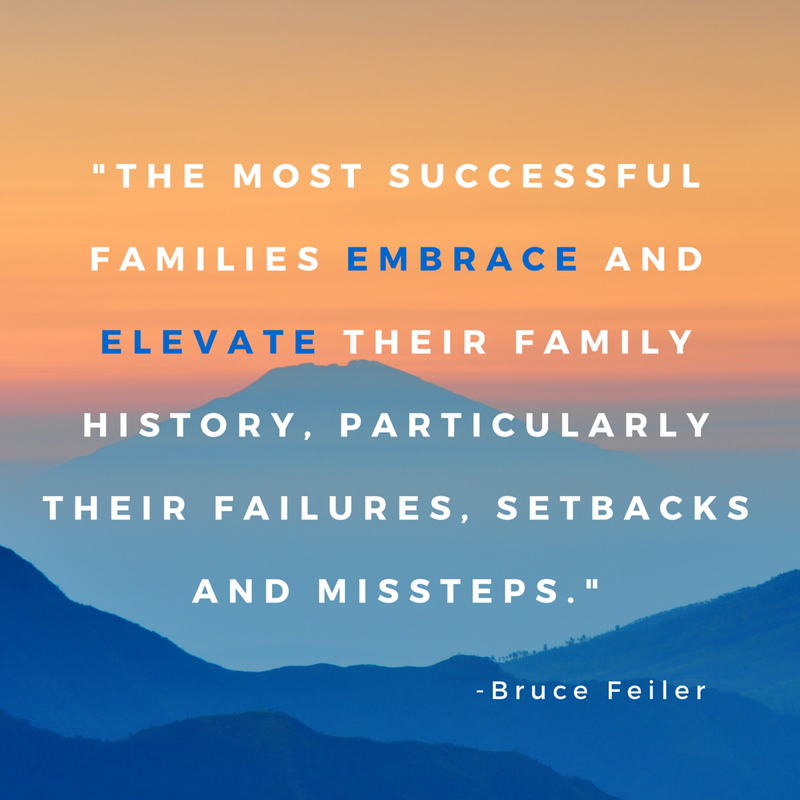 In a wonderful NY Times article, Bruce Feiler explained how family stories help children to grow stronger. Understanding this, you may want to know what is a “family story” and how are they shared? Interestingly enough, while this genre of story includes historical events from family history, family stories are broader than that. They can include family myths or “improved” stories. One of Hilarie’s grandfathers would often remind us with great enthusiasm, “If you can’t improve on a story, there’s no point in telling it!” So yes, family stories can include fictional narratives. 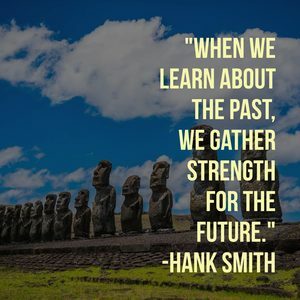 Marshall P. Duke has a set of 20 questions that underscore how knowing about one’s family can help build you into a better person. Known as the “DYK Questions” (as in Do You Know), these simple yes/no questions can help determine how well families are passing the family narrative and identity (along with its accompanying strength) on to the next generation. About that last question! Fifteen percent of our sample actually answered “Yes!” This is because the stories that families tell are not always “true.” More often than not they are told in order to teach a lesson or help with a physical or emotional hurt. As such, they may be modified as needed. The accuracy of the stories is not really critical. In fact, there are often disagreements among family members about what really happened! These disagreements then become part of the family narrative. Not to worry! Perhaps one reason why so many people love a good fictional story (be it a book, movie or play) is because it feels like a familiar family story. But is it okay to have fictional stories as part of a family narrative? It is not the content of what is known that is the critical factor, but the process by which these things came to be known. So what is this process? Duke’s research indicates that what we already suspect is, in fact, the case. The women in the family tend to be the people who share stories, and this is done when the children are a captive audience (i.e. on long car or airplane rides, during dinner, etc.). In modern family life, how often does your family sit down for dinner? When you go on a trip, how many electronic devices are in use? In short, when do we find time to talk and tell family stories? It used to be easy to do this, but in the constantly-connected world we now live in, not so much. While we have limitless information available to us, wisdom – shared in family stories passed down – is lacking. There is no panacea that will fix this. It requires a conscious, consistent effort to share these stories. Here are some things you should consider to make sure your kids have the benefits of a strong family narrative. Plan and have dinner together. This can be really tough. It doesn’t have to be at the same time or for the same length of time each night. Sometimes it might be at 6 PM for 45 minutes, other nights it may not be until 8:30 for 15 after a night of baseball games. Look at the schedule for the next 7 days and schedule dinner on everyone’s calendar. Plan out the menus in advance. I love cooking, but making dinner tends to be a pain. Find easy meals to make, possibly ahead of time. Children who are old enough can be responsible for dinner once a week. Planning the schedule and menu creates an opportunity to talk, and provides natural opportunities for sharing stories. My 12-year-old son opens up more in sharing about his day while doing dinner dishes than at any other time. Even though he starts out grumpy about having to wash dishes! Electronic devices are NOT the enemy! I have heard so many parents express frustration about the amount of time their kids spend on a phone, tablet and/or laptop. I am one of those parents. Kids these days naturally use electronics. Rather than fight it, use that to your advantage. There are many great apps and websites that can facilitate family storytelling. We have reviewed some of them here, here and here. We have more coming, so check back often (or better yet, subscribe to) our blog for those reviews. Ask your kids the 20 DYK questions that Marshall Duke has created (or use them as a starting point for your own questions). He has shared them here in a wonderful article. 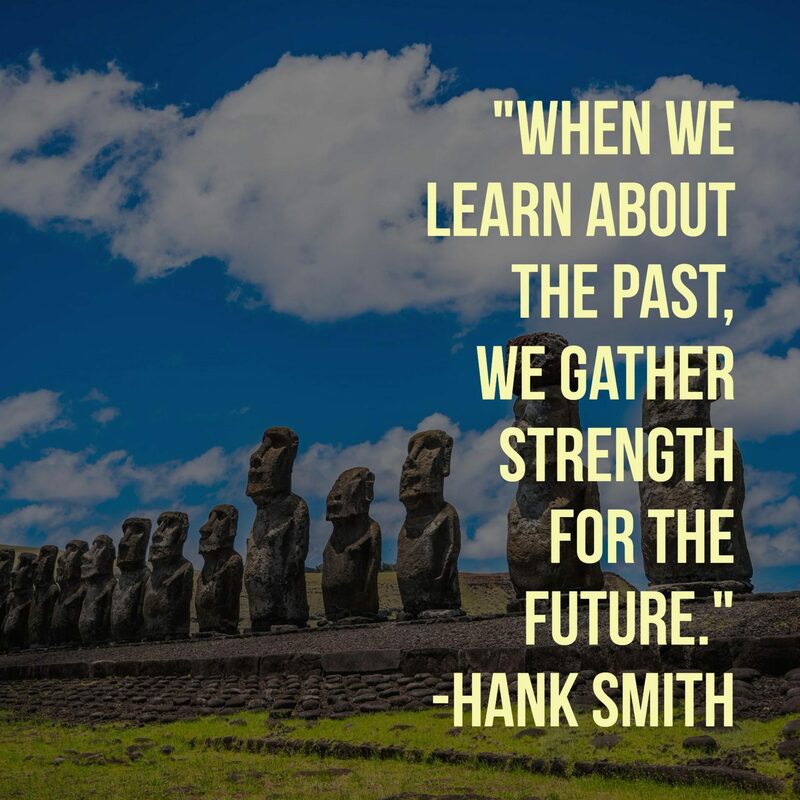 Take family vacations and/or day trips. These don’t need to be expensive or long. During these trips, look for opportunities for unplanned “downtime” where you can talk. This can be while traveling or on location. Make and share memories at the same time. Family stories should cover the spectrum of emotions and events. Success and failure, happy and sad moments. joy and pain. This is probably what contributes most to a child’s ability to thrive (and I think it helps adults, too). 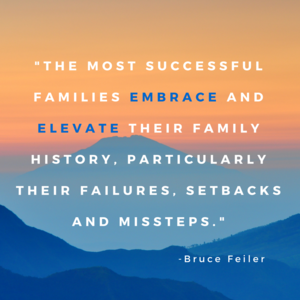 Seeing how a family member – even someone who passed before we were born – dealt with the ups and downs of life provides insight and motivation do deal with the ups and downs in our own life. While embarrassing, sad or disappointing stories don’t need to be celebrated, they should be shared. The wisdom that comes from these stories is priceless. If you’re looking for a starting point, look at the list of 5 fixes above. Pick the easiest one for you and start there. Remember it takes conscious and consistent effort, but it can be done. You have nothing to lose and a stronger family to gain. 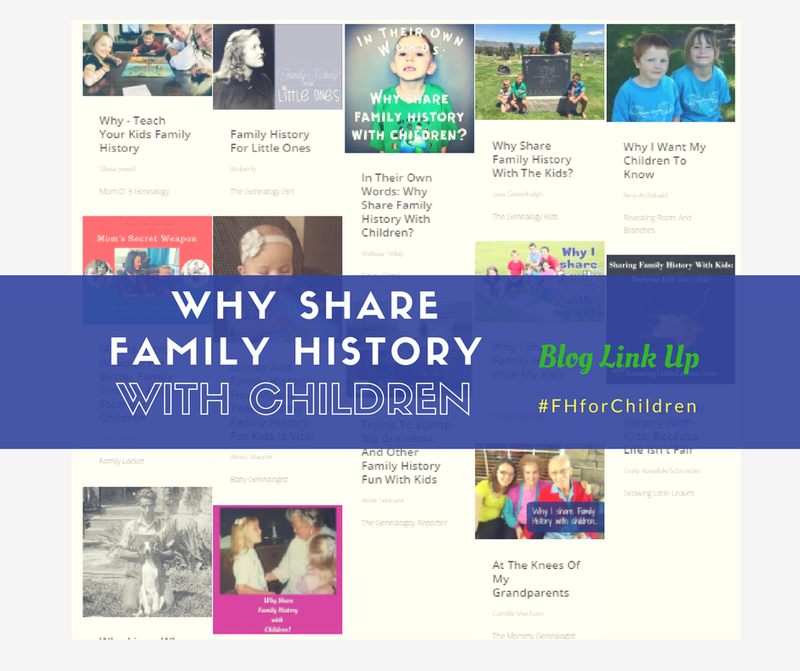 Looking for more ways to involve kids in family history and storytelling? This post is part of a blog link up created by Nicole Dyer of Family Locket. Click the link or the image to read more great posts. On dreams. And timing. And faith.